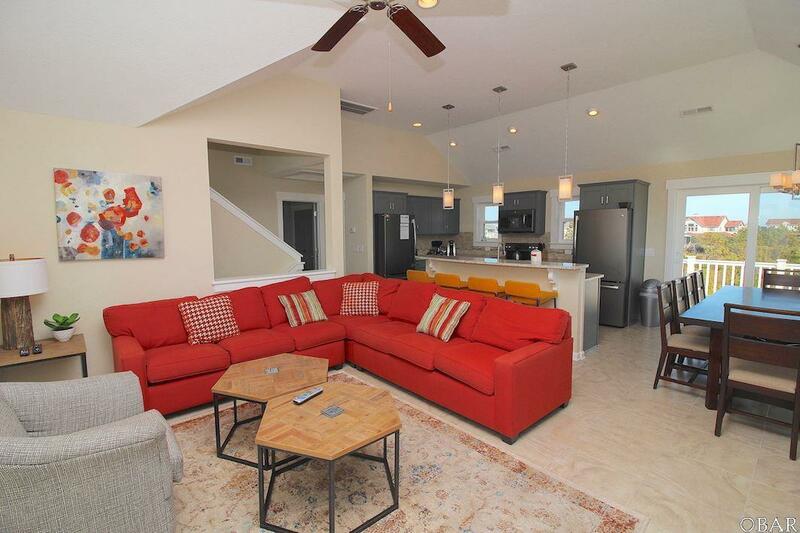 This beautiful Corolla Shores home offers fun in the sun, games in the shade and is just a quick walk to the beach. 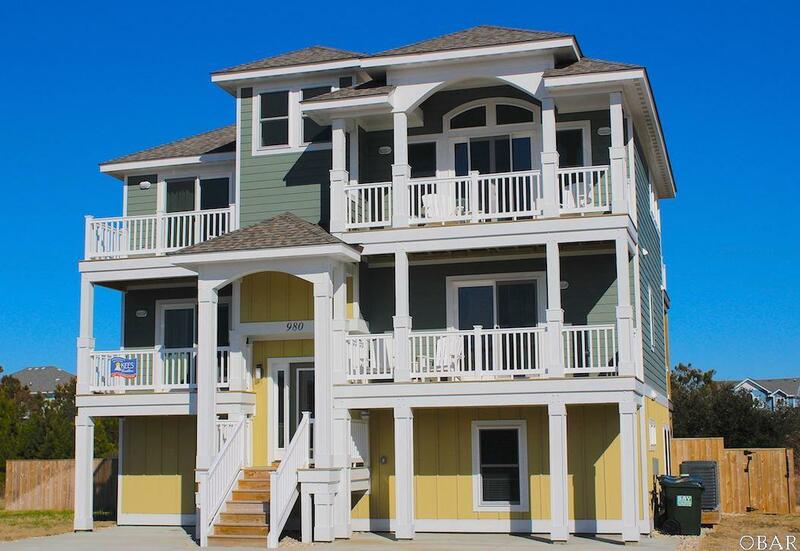 This 7 bedroom Oceanside home in Corolla boasts the most in-demand amenities, like a 14 x 30 inground pool, hot tub, huge fenced yard, pool table, foosball, shuffleboard, and complimentary beach umbrella service from the rental company. 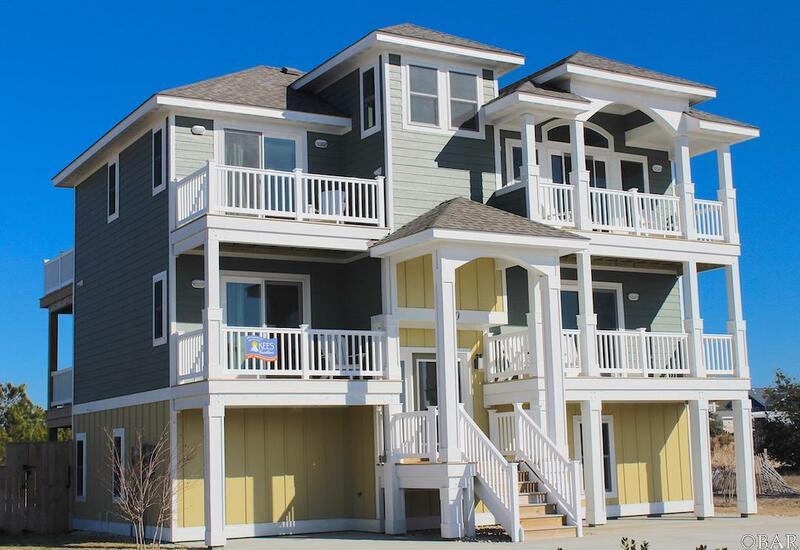 The coastal colors and multiple porches beckon you to admire the Outer Banks sky as it puts on its beautiful sunset show. State of the art kitchen with granite counter tops including tile backsplash with stainless steel appliances, soothing grey cabinetry and abundant work space. Dining area adjacent offers plenty of seating for the entire family. 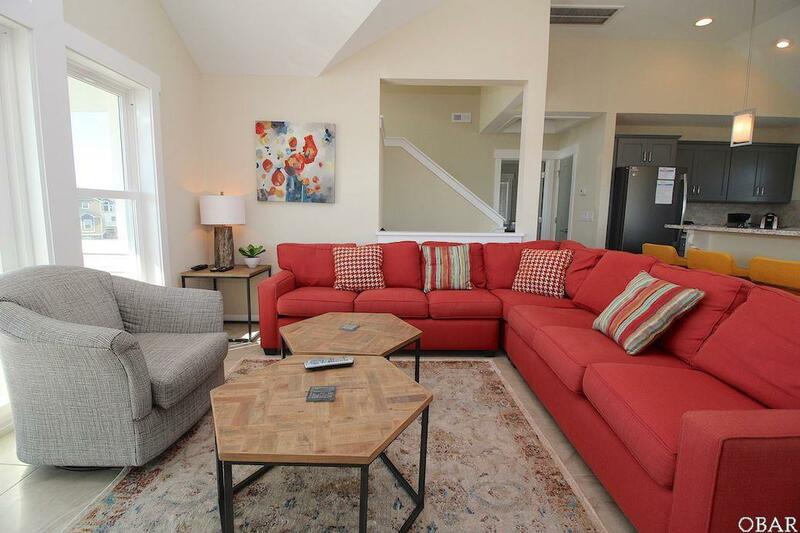 The beautiful living area with seating for ten is perfect to watch a movie or relax! The recreation room on the ground level offers a pool table, shuffleboard and foosball along with a wet bar. The adjacent media area with the flat screen TV is perfect for those sitting out of the game. Excellent rental income history in Corollas newest Oceanside community!